KaloBios Pharmaceuticals, which was briefly led by troubled CEO Martin Shkreli, filed for bankruptcy on Tuesday. The Chapter 11 filing said KaloBios has between 100 and 199 creditors. It has assets of more than $8 million, and roughly $1.9 million in debt. 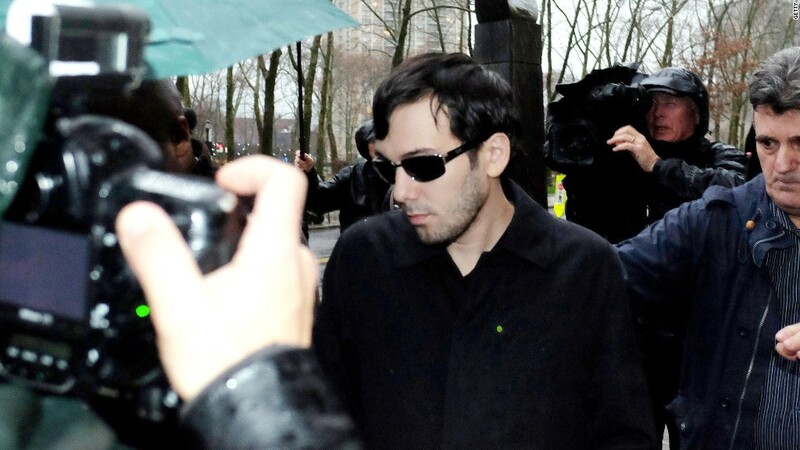 The filing is the latest twist in a rollercoaster few weeks for the biotech firm, thanks mostly to Shkreli, who has been indicted on criminal charges that he bilked another company -- Retrophin -- out of millions of dollars. Before Shkreli came along in November, KaloBios had planned to liquidate and lay off 17 workers (61% of its staff). But the company's shares surged more than 400% after an investment group led by Shkreli purchased a majority stake in the struggling firm. Shkreli was quickly made CEO. But that's ancient history. Since Shkreli's arrest on December 17, KaloBios has fired Shkreli as CEO and he has resigned from the board of directors. The company has also been delisted from the Nasdaq. Shkreli is best known for hiking the price of a life-saving drug by more than 5,000% while CEO of Turing Pharmaceuticals, another drug company. Correction: An earlier version of this article incorrectly reported the date of Shkreli's arrest.